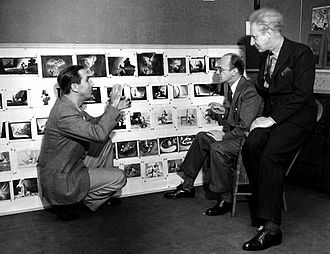 Walt Disney’s Fantasia was first released in theatrical roadshow engagements held in thirteen U.S. cities starting in New York on this date in 1940. 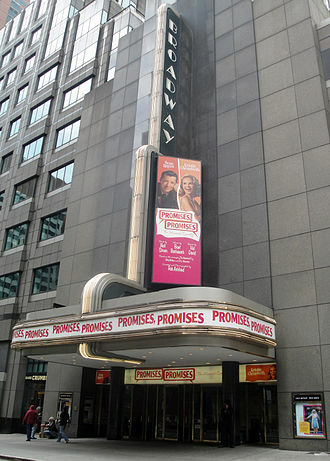 It received mixed critical reaction and was unable to make a profit because World War II cut off distribution to the European market, the film’s high production costs, and the expense of leasing theatres and installing the Fantasound equipment for the roadshow presentations (the first film to use surround sound). The film was subsequently reissued multiple times with its original footage and audio being deleted, modified, or restored in each version. 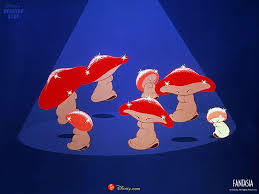 As of 2012, Fantasia has grossed $76.4 million in domestic revenue and is the 22nd highest-grossing film of all time in the U.S. when adjusted for inflation. Here’s the full version on YouTube. You’ll have to put up with the narration dubbed in French, but I don’t think it is terribly important or interesting anyway. The English language version is subject to copyright issues. The sound on this version is also terrible, but is the best I could find to give the idea of the work. Once again I will give a disclaimer at the outset. When I was about 10 I saw Fantasia for the first time and liked it. Now I don’t like it at all. As a boy I liked being introduced to music I had not heard before, and I enjoyed the addition of the graphic element. Now, for me, the images are mostly a distraction, and, on occasion, offensive. Also, the scores of many of the pieces, notably Rite of Spring, have been altered to suit the film format. So, to my way of thinking, the film is images accompanied by music, rather than the other way round (as it purports to be). I don’t see anything intrinsically wrong with that, that’s what movies are. If you like it, fine. I don’t. 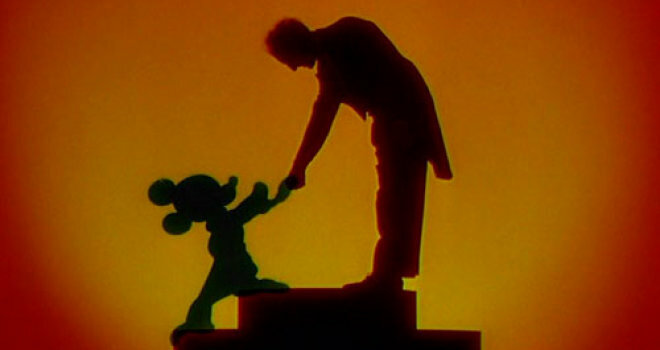 Disney settled on the film’s concept as work neared completion on The Sorcerer’s Apprentice, an elaborate Silly Symphonies short designed as a comeback role for Mickey Mouse, who had declined in popularity. As production costs grew higher than what it could earn, he decided to include the short in a feature-length film with other segments set to classical pieces. This is perhaps why I find this segment so jarringly different from the others, and completely out of place. The soundtrack was recorded using multiple audio channels and reproduced with Fantasound, a pioneering sound reproduction system that made Fantasia the first commercial film shown in stereophonic sound. Toccata and Fugue in D Minor by Johann Sebastian Bach (orchestral version). 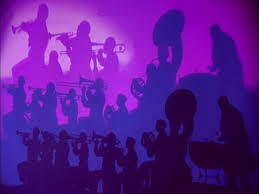 Live-action shots of the orchestra illuminated in blue and gold, backed by superimposed shadows, fade into abstract patterns. Animated lines, shapes and cloud formations reflect the sound and rhythms of the music as the piece progresses. Nutcracker Suite by Pyotr Ilyich Tchaikovsky. Selections from the ballet suite underscore scenes depicting the changing of the seasons from summer to autumn to winter. A variety of dances are presented with fairies, fish, flowers, mushrooms, and leaves, including “Dance of the Sugar Plum Fairy”, “Chinese Dance”, “Dance of the Flutes”, “Arabian Dance”, “Russian Dance” and “Waltz of the Flowers”. The Sorcerer’s Apprentice by Paul Dukas. Based on Goethe’s 1797 poem “Der Zauberlehrling”. Mickey Mouse, the young apprentice of the sorcerer Yen Sid, attempts some of his master’s magic tricks but does not know how to control them. Rite of Spring by Igor Stravinsky. A visual history of the Earth’s beginnings is depicted to selected sections of the ballet score. 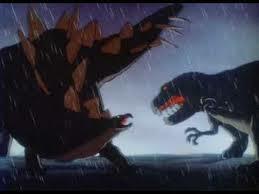 The sequence progresses from the planet’s formation to the first living creatures, followed by the reign and extinction of the dinosaurs. Intermission/Meet the Soundtrack: The orchestra musicians depart and the Fantasia title card is revealed. After the intermission there is a brief jam session of jazz music led by a clarinetist as the orchestra members return. Then a humorously stylized demonstration of how sound is rendered on film is shown. An animated sound track “character”, initially a straight white line, changes into different shapes and colors based on the sounds played. The Pastoral Symphony by Ludwig van Beethoven. A mythical Greco-Roman world of colorful centaurs and “centaurettes”, cupids, fauns and other figures from classical mythology is set to Beethoven’s music. A gathering for a festival to honor Bacchus, the god of wine, is interrupted by Zeus, who creates a storm and directs Vulcan to forge lightning bolts for him to throw at the guests. ­Dance of the Hours by Amilcare Ponchielli. A comic ballet in four sections: Madame Upanova and her ostriches (Morning); Hyacinth Hippo and her servants (Afternoon); Elephanchine and her bubble-blowing elephant troupe (Evening); and Ben Ali Gator and his troop of alligators (Night). The finale finds all of the characters dancing together until their palace collapses. 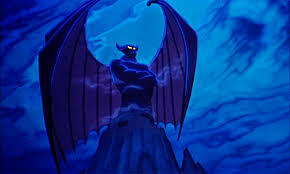 Night on Bald Mountain by Modest Mussorgsky and Ave Maria by Franz Schubert. At midnight the devil Chernabog awakes and summons evil spirits and restless souls from their graves to Bald Mountain. The spirits dance and fly through the air until driven back by the sound of an Angelus bell as night fades into dawn. 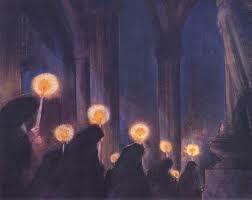 A chorus is heard singing Ave Maria as a line of robed monks is depicted walking with lighted torches through a forest and into the ruins of a cathedral. 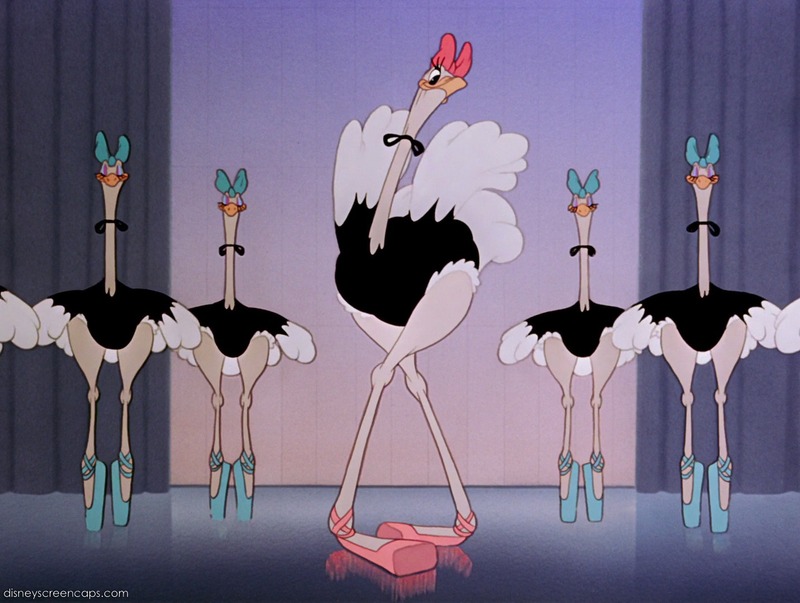 Over one thousand artists and technicians were used in the making of Fantasia, which features more than 500 animated characters. Segments were color-keyed scene by scene so the colors in a single shot would harmonize between proceeding and following ones. Before a segment’s narrative pattern was complete, an overall color scheme was designed to the general mood of the music, and patterned to correspond with the development of the subject matter. The studio’s character model department would also sculpt three-dimensional clay models so the animators could view their subject from all angles. Disney wanted to experiment with more sophisticated sound recording and reproduction techniques for Fantasia than had been used before. “Music emerging from one speaker behind the screen sounds thin, tinkly and strainy. We wanted to reproduce such beautiful masterpieces … so that audiences would feel as though they were standing at the podium with Stokowski”. For the recording of The Sorcerer’s Apprentice in January 1938, engineers at Disney collaborated with RCA Corporation for using multiple audio channels which allowed any desired dynamic balance to be achieved upon playback. The stage was altered acoustically with double plywood semi-circular partitions that separated the orchestra into five sections to increase reverberation. 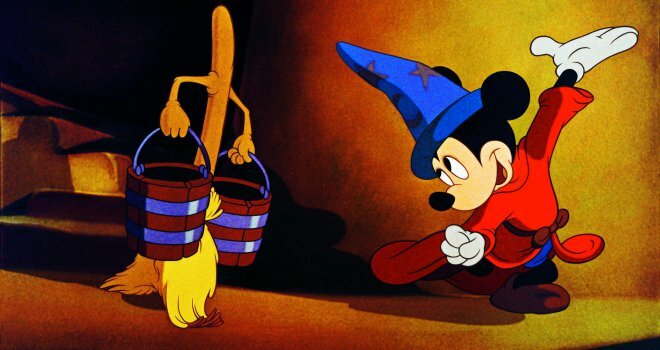 Though as the production of Fantasia developed, the setup used for The Sorcerer’s Apprentice was abandoned for different multi-channel recording arrangements. There is no question that Fantasia was a milestone in animated film from all kinds of technical and aesthetic angles. Whether you like it or not tends, in my experience, to be based on both personal tastes and training. Being overly simple I would say that, usually, those viewers with solid musical training dislike it, and those who lack it, like it. But to be fair, I know musicians who – with disclaimers – like it, and non-musicians who don’t. Take Rite of Spring, for clarification. When I first saw it with no knowledge of the music whatsoever I thought it was all right, although volcanoes puffing in time with the music seemed a bit over the top. Then when I learned about how the original score had been butchered, with key (difficult) passages eliminated, and that there was an entire choreography going along with the music that had nothing whatsoever to do with volcanoes and dinosaurs, nor with violent interspecies conflict, storm, and drought, I was utterly turned off. Both Tchaikovsky’s “Nutcracker” and “The Night Before Christmas” have imprinted sugar plums indelibly in the Christmas consciousness of many people unaware of what sugar plums actually are. One hundred years ago and more, they were standard Christmas fare, but now they are not found much outside eastern Europe. I made them every year as Christmas presents. They are very easy to make, and are a delightful treat. They are nothing more than dried fruits and nuts ground up with spices, then rolled into balls, and coated with sugar. There are many, many variations depending on the fruits used, and you should just use your imagination here. Often my mix was currants, raisins, figs, and almonds but feel free to experiment. Nowadays it’s simplest to make the sugar plum mix in a food processor by pulsing the ingredients until they are finely chopped but before they are reduced to an homogenous mass. I always used a meat grinder with a coarse blade, running the ingredients through twice – first to chop them and second time to mix them thoroughly. It doesn’t hurt to add a little brandy, but be sparing because you don’t want the mix to be too wet. Grind all the ingredients, except the coarse sugar, to form a mixed blend that is not too homogenous, using a meat grinder or food processor. Shape the mix into balls about the size of a small walnut. Roll them in coarse sugar and present them individually wrapped in decorative foil or frilly paper container or on their own. If you need to keep them for a few days, refrigerate the whole mass, and then roll the balls and coat them in sugar when you are ready to serve them. I like your blogs,someday I will translate them once I can read and understand in English.This is promise to myself. Thanks 倩岚. I’ll help you of course. Did you keep your promise to yourself?